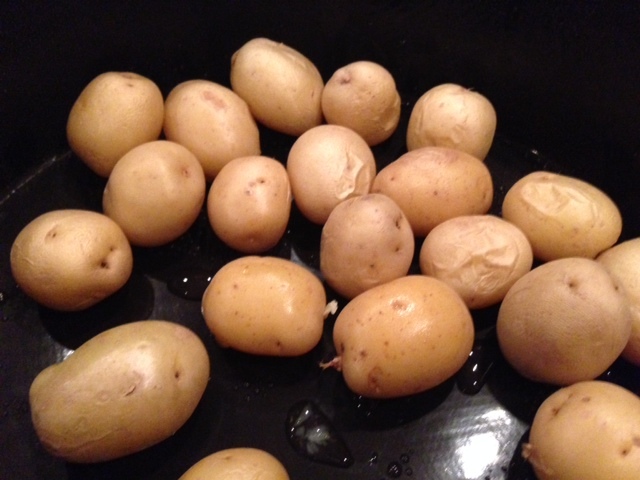 Place the potatoes in the colander and run water over them to clean them. Place the potatoes in the round mold, place the octogonal silpat on top of the round mold and microwave for 5-7 minutes or until they are cooked, but still firm. Cut them in half. 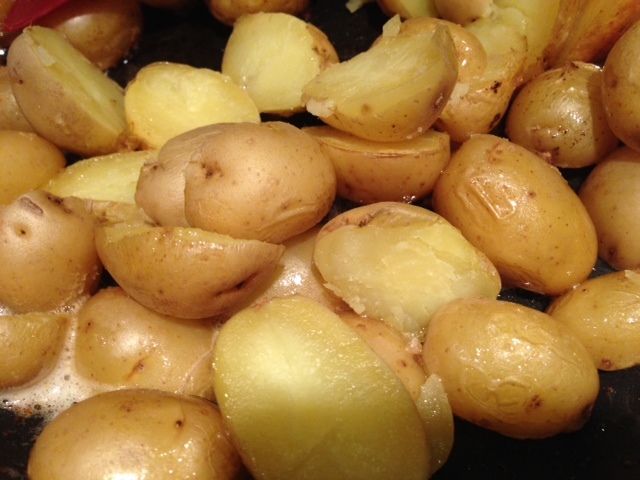 OR CUT THE POTATOES IN HALF FIRST, THEM MICROWAVE FOR 3-5 MINUTES. Place a large frying pan over the stove at medium high temperature and melt the butter. 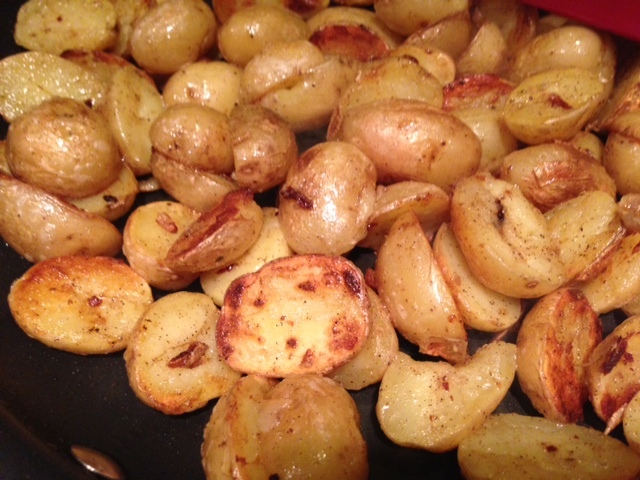 When the butter is melted and is sizzling, add the cut potatoes. 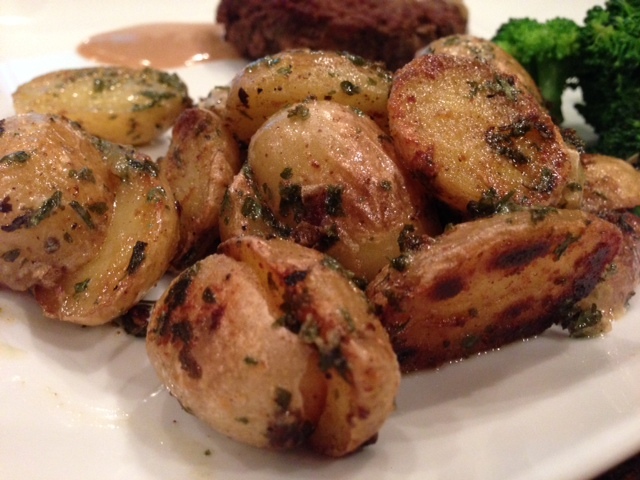 Cook the potatoes for 5-7 minutes or until the potatoes are roasted to your liking. 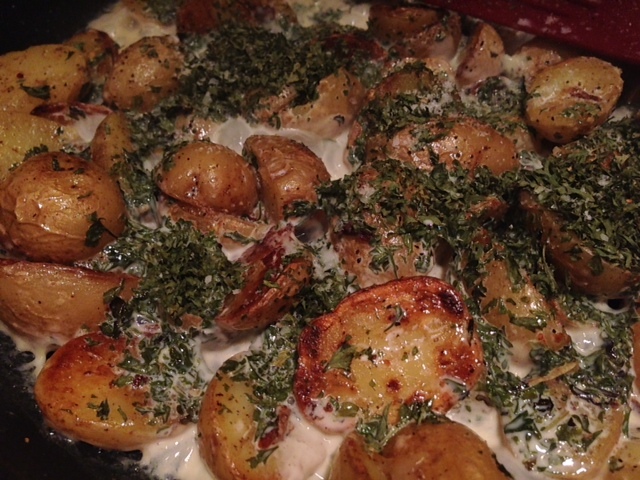 Add the cream, the parsley and season with salt and pepper. Cook until the cream is boiling. Season with salt and pepper. Serve with whatever you are eating. 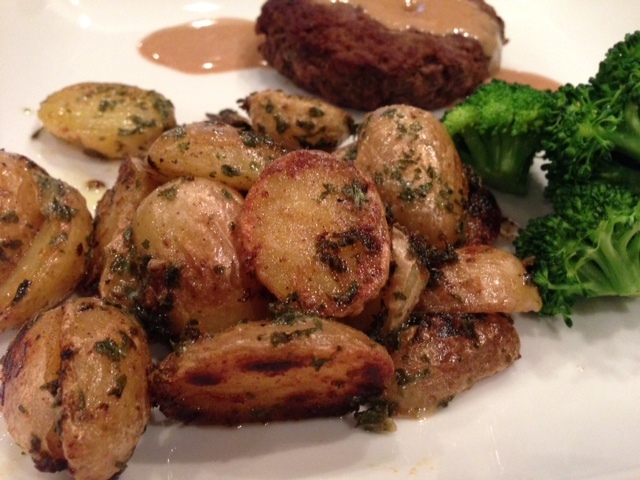 My family had steamed broccoli and kobe steaks.